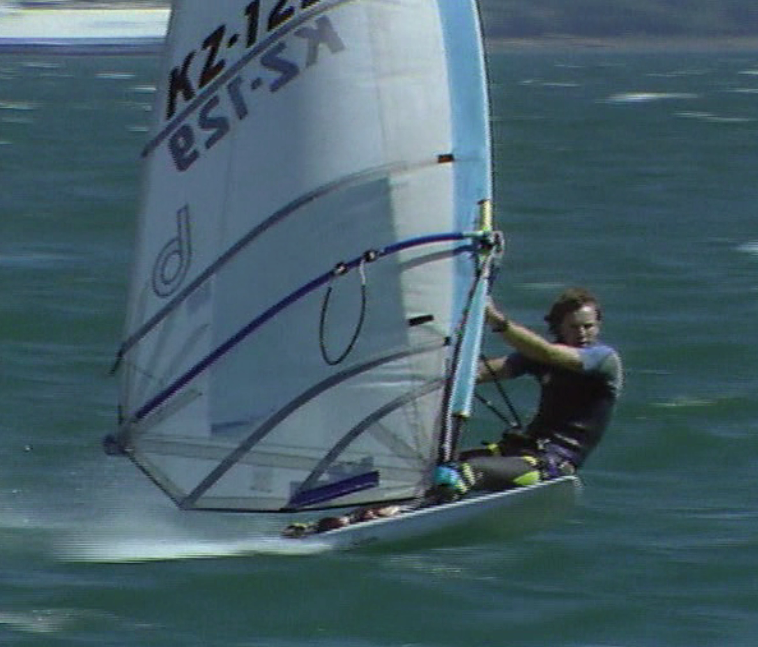 BOPwindsurfers: From the discoguy archive - 1989 NZ Windsurf Slalom Nationals - Eastbourne, Wellington. 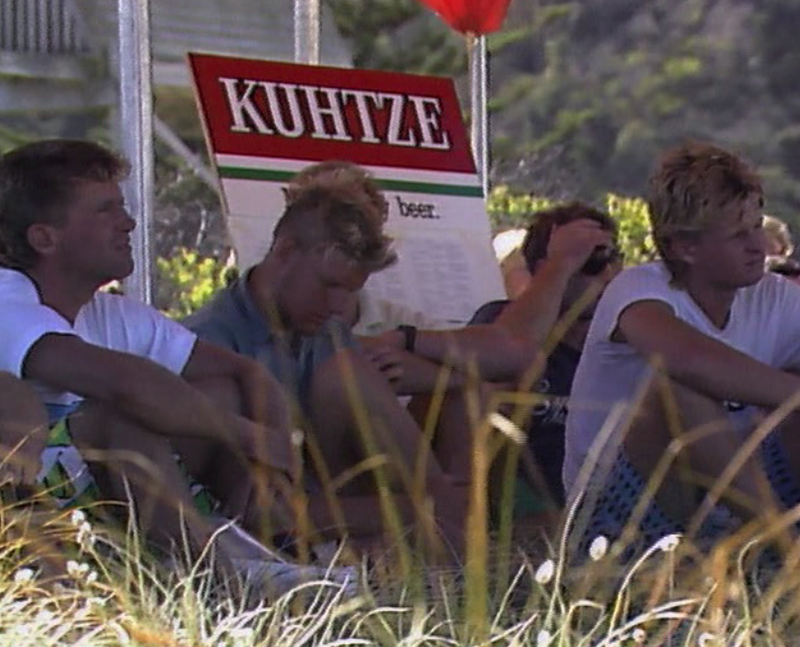 From the discoguy archive - 1989 NZ Windsurf Slalom Nationals - Eastbourne, Wellington. Mark, Neville and I rolled down to Wellington from Warkworth,(in my 'fully laden' HQ Belmont+camp-o-matic) to see if we could "race". 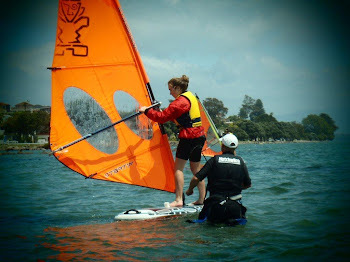 I had only been windsurfing for a year, so naturally I targeted the Social Division. Mark and Neville were contesting in the Production Class on Windtoys Predators. The young fella did well, featuring in a heat win on the video,( the best I got was a 2 second cameo, rolling around 'solo' in the camp-o-matic). The sailing?.........I dropped my rig tacking around the buoy in the first fleet race, and subsequently watched everyone else go around me,(managed to pull a few places back after I got going). Finished about 60th of 120 in the second course race, didn't drop a gybe,........was stoked! As the racing went on my confidence built to a point where I had a clear lead the final heat, lost sight of the last buoy in the swells, and blasted right past it,......Arse!........ "Pour me another warm Kuhtze, mate!" The 'Fully Committed' award went to some tall dude called Stephan. 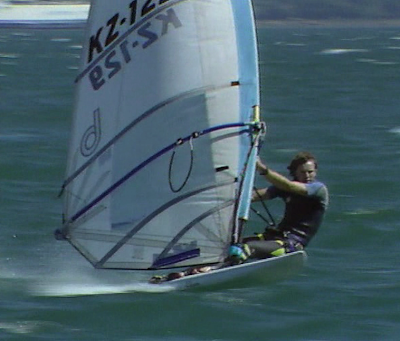 Competed with one sail, one board and wandered around, sailed, (and partied) over the 3 days - in the same set of clothes,...Legend! Tauranga racer wins in Auckland - Nice job, Sven.